As promised yesterday, today I will give you more info on how Jordan + Ashley came to be. And speaking of myself in the third person. If this bothers you, I apologize, but it'll be better this way. Okay, I'll just jump right in to our births. Haha. 1988 - Jordan and Ashley are born in two different NC cities to amazing sets of loving parents. These families happen to know each other. They go wayyy back. Both families are involved in church assemblies and go to the same Bible Conference each summer. Ashley's parents met and fell in love at the Bible Conference. Would Ashley have the same fate?? 1989 - Ashley visits the Bible Conference as a 1 year old with her parents. Jordan's family is absent. Therefore they aren't together in the nursery. So unfortunately they don't meet and fall in love there. Probably a good thing since they aren't actually walking at the time. Nursery romances - although sometimes longer than certain celebrities' relationships - tend to fall apart before the age of three. ...And God says, "Wait. You're not ready yet." 1990-2000 - Ashley's family doesn't go to the conference anymore. Jordan's family does. For twelve or thirteen years, they never see each other in person. They only hear whispers of each other's names during "Do you know so-and-so" questions from mutual peers. Jordan becomes friends with Ashley's cousins at the conference. Don't they both go to Mountain Top Youth Camp?? You may ask. As Tim Curry would say in Clue: I'm getting there, I'm getting there. 1994 - Ashley accepts Jesus Christ as her Savior! 1995ish - Jordan accepts Jesus Christ as his Savior! 1997ish-2000 - Both Jordan and Ashley attend Mountain Top Youth Camp as youngsters. Jordan goes to the boys' camps, and Ashley goes to the girls'. Their paths do not cross. Ashley stops going to camp right before she becomes co-ed age. 2001-2002 - Ashley and Jordan go to the same church youth rallies. They know the same people there. They see each other. They still do not officially meet. 2003-2005 - They live their high school lives hanging out with friends, playing sports, loving basketball, trying to figure out what a relationship with God really means. 2006 - They graduate from high school and decide to go to NC State University. This is where it gets interesting. Ashley rooms with her cousin's cousin - who is friends with Jordan. On an extremely hot August day, the day before classes start, Jordan meets up with the girls to explore the huge campus and find where their classes are. He rides his bike and is extremely sweaty. Ashley finds him attractive and notices how nice his calf muscles are. They are finally introduced. Ashley's mom stops by to help her buy her books and talks to Jordan about his family. She comments under her breath to her daughter how cute Jordan is. He is definitely a nice guy, but seems kind of shy. He visits their dorm room and wishes them a great first day of freshman year. Ashley wonders if she'll get to know him more. 2006-2009 - Jordan and Ashley remain merely acquaintances. Occasionally they see each other walking around campus. Jordan actually joins an intramural flag football team with a bunch of guys Ashley knows. She sees his name pop up on Facebook from time to time. 2009: July - Ashley receives a happy birthday wall post from Jordan. She happens to click on his Facebook. "Woah," she thinks. "He's really gotten...HOT." No longer was Jordan the shy freshman from that day back in '06. He's turned into...a man. Why hadn't she noticed before?? Should she try to talk to him? How would that work? Should she send a little "thank you" for the birthday message? Yes. She does that. Is this it? Is this when they realize that they are meant to be? Does Ashley continue the Facebook conversation? For some reason, she doesn't. She knows Jordan as this awesome guy who doesn't date anyone. She thinks he would never, ever like her. 2009: September - Through various happenstances, Jordan and Ashley realize they live in the apartment buildings right next to each other. Only a parking lot separates them. This comes in handy when Ashley gets to her place one night and the door is wide open. She freaks out because her roommate is gone, and who comes to her rescue? Jordan. He walks right in and checks every room and closet. He makes sure everything is okay and that Ashley has nothing to worry about. She calls him her "hero" for the first time. They joke about how he could've taken any bad guys out no problem. 2009: November - Jordan and Ashley are officially friends. They see each other sometimes in group settings, he comes to some Hurricanes games, they have each other's phone numbers. They take their first picture together at a football game. Ashley's aunt (who knows Jordan from those Bible conferences) comments on the picture and says "Well...". Hint Hint. Ashley laughs it off. 2010: January - Ashley is newly single. And not looking. Not wanting anything to do with a relationship. The Lord has given her quite a few wake up calls, and she finally finds her satisfaction in Him. Jordan is still her friend. Her extremely good looking, smart, hilarious, godly friend. She still thinks she would never stand a chance. 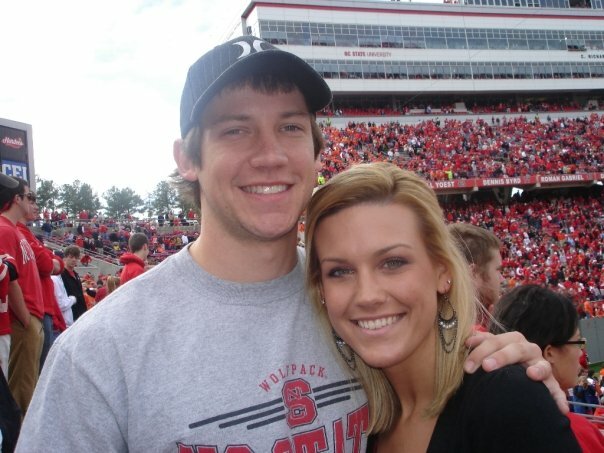 2010: February/March - Jordan sends Ashley a Facebook event invite to the NCSU "Mr. Engineer Pageant" that he is participating in. To his surprise, Ashley comes with her best friend Maggie. When Jordan sings during the talent portion, Ashley leans over and tells Maggie that she wants him. All joking aside, she really did. Ashley briefly meets Jordan's parents that night. She tries to make a good impression. She doesn't know why she's letting herself start to fall for him. But as she's grown closer to God, what she desires in a man has changed. She finds herself desiring Jordan in a way she never knew she could feel. 2010: April - Jordan texts Ashley. A lot. Ashley texts back. A lot. They hang out in group settings. They play board games. They watch movies. They watch Sports Center. A whole lot of Sports Center. And finally....Jordan asks Ashley out to dinner. Ashley literally jumps up and down on her bed with excitement. ...And God says, "Now. You're ready." 2010: April-August - Jordan shows Ashley what a relationship should really be. He makes her laugh like she's never laughed before. He spends quality time with her, getting to know everything about her. She becomes more honest with him than she's ever been with anyone. She opens up and although it scares her, she falls harder every day. Jordan accepts her for who she is, treats her as his sister in Christ, and forgives her for her mistakes. He takes time to read God's Word with her and pray with her regularly. He helps her through one of the hardest times of her life. She learns that being treated with a godly love is far different than anything this world offers. She tells him that he's her "hero". Jordan tells her that she is a treasure and worth being cherished and respected. They never use the L word, both having made the commitment to save it for their future spouses. But even though they don't say it, they know. 2010: August - Jordan realizes that he wants to marry Ashley, talks to his family about it, asks her dad, gets a ring, plans a trip, and surprises Ashley with a proposal in Boston all in a week. Shock of Ashley's life. He tells her that he loves her. She tells him right back. ...And God says, "This is what I've prepared you for your entire lives. Unite as one, and serve Me together." 2011: March 19th - This is it. After all those times of missed opportunities, after the many years of obliviously walking past each other, after all of the days wondering why they couldn't find "the one", God puts them right where they belong. At the perfect time. You see, if Jordan and Ashley had met in the nursery, or at camp, or the youth rallies, or if their friendship had begun that first year of college, they wouldn't have been ready. God knew that a lot of refining had to take place. In HIS time. He knew that they would finally come together on this very day. He had it all planned out. He had to make sure they were ready. And on March 19, 2011, the Shelley family was established. The love story was clear. Our Lord proved His complete sovereignty and grace. I wake up every day and thank God for this love story. Tears come to my eyes when I dwell on how He led me here. I am so undeserving of the love my Savior shows me and the love my hero shows me. Which makes me even more grateful that the love is a gift and has nothing to do with my deeds or merits. I urge you, reader, to please accept nothing less than this kind of love. First of all, our Savior Jesus Christ is waiting on you with open arms. God sent His Son as a sacrifice - to take the punishment that we should receive for our sins. He rose from the grave and is a living, active God. He offers forgiveness and grace. He wants you to follow Him. He is calling you. He loves you with a love that is not attainable here on earth. Before you can truly experience godly earthly love, you have to be completely satisfied and fulfilled by Christ's love. Which I am still learning about, and will forever. Secondly, only give your heart to a man who loves you God's way. Someone who treasures you and treats you like you should be treated. Someone who will lead you closer to the Lord, and who cares about your personal relationship with God more than your romantic relationship with himself. This song from the movie Tangled gets me every time. I know it's from a Disney movie, but it really does capture how I felt when Jordan began pursuing a relationship with me. It was like "the fog was lifted". Okay I could quote the whole thing but just listen to it and see what I mean. God authors the most beautiful, divinely orchestrated love stories. I hope that ours can give you hope and show you how His plan is perfect. I love this Ashley. What a precious reminder of God's faithfulness to us. This brought tears to my eyes - so sweet and fully of love. What an amazing love story you two have! Ahhh!!! This was an amazing start to my Thursday morning, and it made me want to relive my love story with Derrick :) God is so good - and I often think of how much fun He must have penning all of our love stories! Such an amazing post and it is so true that God waits until he sees we're truly ready to be together. My boyfriend and I tried to date before we ended up together this time and I realize now it was because we had to wait for God's will. You all are an inspirational couple!! What a beautiful story! What an encouraging story for all the single girls out there that God really knows exactly what He is doing! I was right. He was cute! Your love story will forever cause me to giggle, cry, praise and thank God for His perfect plan. Mostly, I am GRATEFUL that your words can strengthen and encourage others to look to Jesus. You and Jordan are such a blessing in my life! Don't want to comment anonymously but it's been so long since I've logged into my blogger that I can't remember my password at the moment...but I just stumbled upon your love story and want to thank you for writing about it! I've heard that a Godly relationship is possible especially after reading the book "When God Writes Your Love Story" but those kind of stories seem so far and few inbetween that it's always inspiring to read about another Godly love story. You story has helped me strengthen my desire and wait for a Godly relationship even more. I also love the idea of saving "I love you" for your spouse. I may have not done it right in the past but I am striving to do it right now. Happy wishes to you and your husband! This is such a beautiful story! The timeline was the perfect way to write it too. Thank you so much for sharing! Prayers for a wonderful, happy marriage! i stumbled upon you when you commented on a friends pictures on her blog which you saw from life rearranged. did you follow that? your blog title caught my attention. what a great story you have! God is indeed the author of our perfect timelines knowing when we can and cannot handle certain things. you are not far from my sister, she is in wake forest and her husband's family has had a place in topsail for over 40 years. many of the places you mention are familiar from our visits with her family. many years of happiness to you and your husband. "And God says, "This is what I've prepared you for your entire lives. Unite as one, and serve Me together." I just about lost it! I know God has a plan for each and every one of us! I hope one day my husband can fall in love with the lord and together we can forever praise him! I love how you seek out God's will and hand in your relationship. My husband and I knew eachother for a long time as well (although not quite as long, haha) and we reunited over Facebook too! I love seeing those old conversations. Whenever my husband would tell me about all those "wasted" years we weren't together, we are quick to correct ourselves as we realize God was preparing us for eachother. His timing is so perfect. I love your blog by the way and am not a follower! Ashley, This is an amazing love story! The timeline is a great way to illustrate God's hand in your marriage every season of your life. Thanks for sharing! This beautiful story literally brought tears to my eyes. This is what I pray for my children to have. Thank you for sharing. Wow! This brought tears to my eyes, hope in my heart, and joy to my soul. I see clearly now what God is doing in my life. He is so faithful! Bless you in abundance for writing this! May your marriage continually be blessed! WOW!! 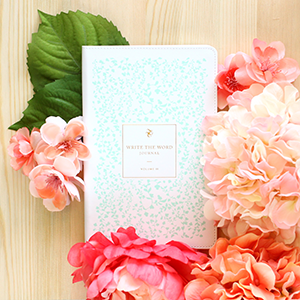 Your love story is absolutely beautiful. It brought tears to my eyes. Your story gives me hope that I will have that type of love and that I will find a man who will love me the way I was meant to be loved. Thank you so much for sharing. Thank you Ashley! I'm empowered and one day, I'll be telling my own love story.